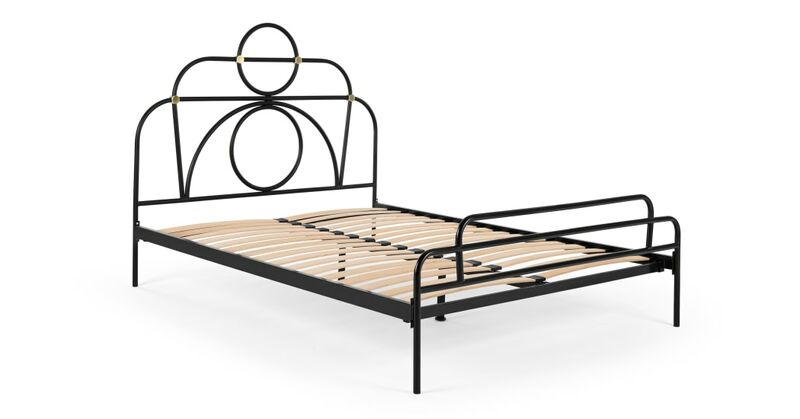 The Anthea metal bed is a cool combination of art-deco design and modern materials. The curved steel shapes bring speakeasy vibes to your bedroom–resident jazz band optional. Anthea's bold shapes reference art-deco signatures. We've paired powder-coated steel with smooth brass joints to give its classic inspirations a contemporary twist. This unique double bed makes a statement without breaking the bank. On-trend interiors you can easily afford.